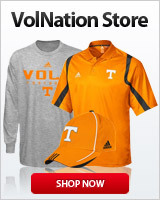 In our Tennessee Vols Football Forum you can discuss Tennessee Vols Football. Will Friend...Cool Dude. Good Info..
Any info on todays practice? Any info on the O&W game activities for the day? ?